Once, I was in the same situation you are facing today. It was time to decide what to do with my life. I committed myself to doing whatever was necessary to make a truly excellent career choice because I passionately wanted to wake up in the morning looking forward to going to work each day. This is the book I searched for then but did not find. I remember an extraordinary, imaginary book that first framed my boyhood vision of what I hope The Pathfinder will be for you. Each month, Donald Duck’s nephews, Huey, Dewey, and Louie, would find themselves in the middle of a full-tilt comic-book adventure. When things got completely hopeless, when the forces of chaos seemed sure to win, they always pulled off a miracle. Out of their knapsack came their infallible guide and problem solver, The Junior Woodchuck Guidebook. It had an absolutely perfect, creative solution for every situation they stumbled into, no matter how obscure or difficult. It was the complete guide to life. Since then, I have passionately sought those rare volumes of chuckery that surface in the real world. Every once in a while, one appears—the seminal guidebook to some aspect of life. Inspired by these wonderful books, The Pathfinder is intended to be one small chapter of The Junior Woodchuck Guidebook: how to decide what to do with your life. Whether you are in midcareer change or are making career decisions for the first time, it is designed to get you successfully through the process of planning your future. How can an intelligent person, committed to choosing a new career path, decide exactly which direction to pursue? That is a question I began asking many years ago. At the time, I was restless and bored with my job. I ran a conservation and solar energy company on the coast of Maine. I had written and been responsible for passing legislation that saved thousands of beautiful historic houses from destruction and had recently been commended for excellence by the White House. My office looked out on a beautiful harbor where lobster boats and foghorns greeted the new day. Yet I had trouble getting through the workday. Even with an extensive background in psychology and Eastern philosophy, I had difficulty understanding why my workday left so much to be desired. How could it be that working on interesting projects in an idyllic setting and making a positive difference in the world and getting recognition could get boring? It was an absolute mystery to me. I then searched all over New England to find someone to help me solve my problem. I called nearly every counselor in the region. I told them I was seeking to choose a new career where I would be able to wake up in the morning and look forward to work. I said I wanted to find a vocation that was challenging, creative, and that I would passionately enjoy, where I could use my talents to their fullest, doing something that mattered to me. None of them seemed to know what it took to have a really phenomenal career. In fact, I could tell from their voices that many of them didn’t seem to love what they did, either. Finally, I took my problem to a wise old man who was a fellow member of my boat club. As it turned out, I was lucky enough to pick the ideal supporter, R. Buckminster Fuller. Many people have heard of Bucky because he invented the geodesic dome. The building at Epcot Center that looks like a huge silvery ball is one of his many revolutionary designs. Bucky was much more than an architect. If you can imagine Obi-Wan Kenobi and Yoda combined in a real person who was at the same time a master futurist, scientist, engineer, architect, inventor, mathematician, philosopher, and mystic, you get a little hint as to who he was. I struggled with my dilemma for what seemed like eons. Ultimately, with his encouragement, I decided to dedicate my life to tackling the very problem I had so much trouble solving myself. I founded an organization dedicated to developing more effective ways to help people make career and education choices. Since 1981, that organization, Rockport Institute (www.rockportinstitute.com), has been a pioneer in developing career coaching programs that successfully guide clients through the process of career decision making. These programs consist of clear-cut steps that help clients choose a specific career that will be highly satisfying, give them the opportunity to reach their goals, use their talents at the highest possible level, and be practical and achievable. From the beginning, we have been committed to developing the best tools to help people make the best decisions. Rockport Institute has helped many thousands of clients from all walks of life: young and old, rich and poor, scientists, professionals, executives in career change, artists, professional athletes, students, and people reentering the workforce. Our clients include people who have been fabulously successful and others who never reached their goals because of an ill-fitting career. We have had the opportunity to serve as personal career consultants to several national and global leaders, C-level executives of Fortune 500 companies, senior policy makers of four presidential administrations, and people in nearly every field of endeavor. Our clients have one thing in common: a strong desire for a very fulfilling career. 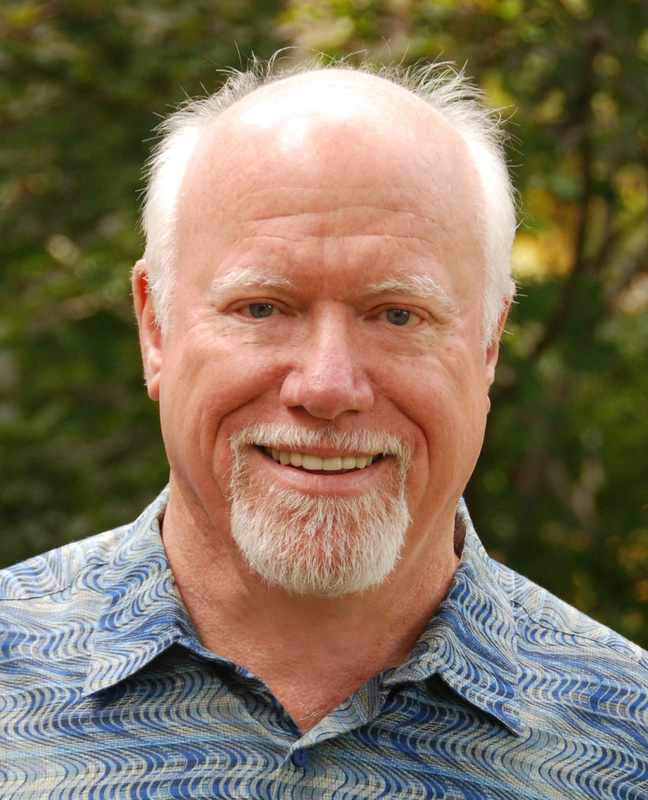 For the last thirty years, as director of Rockport Institute, my single-minded passion has been to help intelligent, complex people like you live remarkable lives that are self-expressed and satisfying by stretching themselves beyond their everyday circumstances and the perceived limitations that hold them back. I have written this book to duplicate, as closely as possible, the experience you would have if we were to sit together in the same room and work step-by-step until you reach your goal: knowing for sure what you will do with your life—or, at least, this part of it. In these pages, you will find a pathway through the process of deciding what to do with your life that can actually get you to (or closer to) the goal line. For the first time, you will have access to most of what you need to reach your goal of picking an outrageously excellent new direction, choosing your first career, or tuning up your present path. By looking from new perspectives at the questions you have previously been unable to answer, you will finally have a chance to sort them out. You will also have an opportunity to look into areas of your life you may have never considered before. You will find some of these components absolutely critical to making the best possible career decision. The Pathfinder will help you break everything important down into small, bite-size pieces and deal with them one by one. Far from offering a generic, cookie-cutter approach, this book will enable you to customize your journey through the morass of questions and uncertainties to fit your own particular needs. I will completely respect and appreciate you and your unique nature. At the same time, I won’t pull punches or be too polite to give it to you straight. I don’t mind at all if you jump up and down and curse me when you get frustrated. After all, I’m just a book. 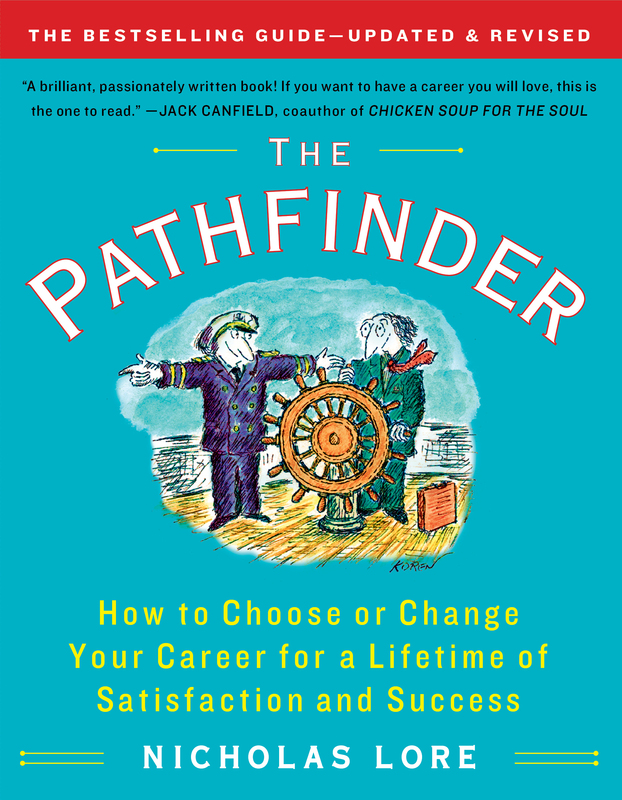 The Pathfinder will help you examine every aspect of your life that relates to career. Designed to be a universal guide, it should work for you regardless of your age, background, education, point of view, and experience. If you are a recently deposed emperor, you won’t be treated like a teenager. And if you are a teenager, don’t worry, you won’t be treated like a deposed emperor. Rather than just discussing theoretical ideals about career fulfillment, The Pathfinder is designed to actually take you toward your goal of deciding exactly what you will do with your life. Using this book as your guide may take you all the way to your goal of designing a career that is both perfect for you and practical. It has guided many thousands of intelligent, committed people all the way to having 100 percent certainty about what they will do with their lives. Others make it most of the way or partway to that goal, but need time, experience, professional coaching, or something else to cross the finish line. The Rockport Career Design Method you will use throughout this book helps you answer the question “What am I sure will be the important components of my work?” The most powerful way to design your career is to become sure about the answers to questions such as “How will I make best use of my natural talents and personality?” “What workplace environment will support my best effort?” “How important is it to do something that personally matters to me, and what specifically will that be?” Asking and answering those big questions about your future build islands of certainty that move your career design project forward. Becoming absolutely sure about one piece of the puzzle makes it easier to sort out the other pieces. The difficulties you may have faced, the times you have gotten stuck, and the less than perfect decisions you may have made previously do not signify that there is something wrong with you or that the world of work must be a hard, dark, cold, dreary place. If you want to do something with your life that really sings and soars, all you need to do is to start your journey here. No matter what your situation, you can do it if you go for it wholeheartedly and keep going until you arrive at your destination. But remember, this book can’t do it for you. Only you can make the choices that build your future work, piece by piece. Before you start this career design process, please decide what format you will use to keep notes and do inquiries. If you are 100 percent digital, create a folder or whatever works for you to organize this project. If not, get a good notebook. An old-fashioned three-ring binder would be perfect. In any event, don’t use your head to store your clues, insights, decisions, and questions. Write them down.